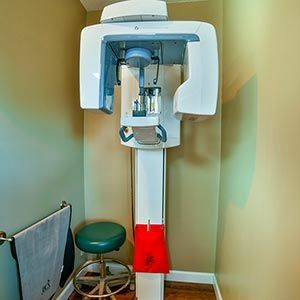 I Don’t Get Cavities Very Often – Why Do I Still Need X-Rays? Digital dental x-rays are an important part of our technology here at Columbia Dental Center. One of the most important roles x-rays play in dental health is detecting the start of decay in teeth. But if you’ve got a great track record where tooth decay is concerned, do you really need to be exposing yourself to any more radiation? If you have any problem like those, you’d be glad to have it detected early on a routine x-ray! A dental x-ray is like opening a window into what’s going on beneath the gums. Dr. Leppo can’t see exactly how things are doing down there, so he uses x-rays to track the movement of teeth. A panoramic x-ray, for example, is a great way to find out how many wisdom teeth you have below your gums, if at all. Are you worried about delayed tooth development in your child? Although your kid may be at low-risk for decay, x-rays can give you the peace of mind that their adult teeth are on their way. Dentistry would be a game of “pin the tail on the donkey” without x-rays. Dr. Leppo relies on this technology to carefully plan the placement of fillings, crowns, implants, and more. To find out more about how essential routine x-rays are in the dental office, plan your visit with the Columbia Dental Team.